Mushrooms generate zombies | 7 Miracles, which Mushrooms are Capable to Perform! 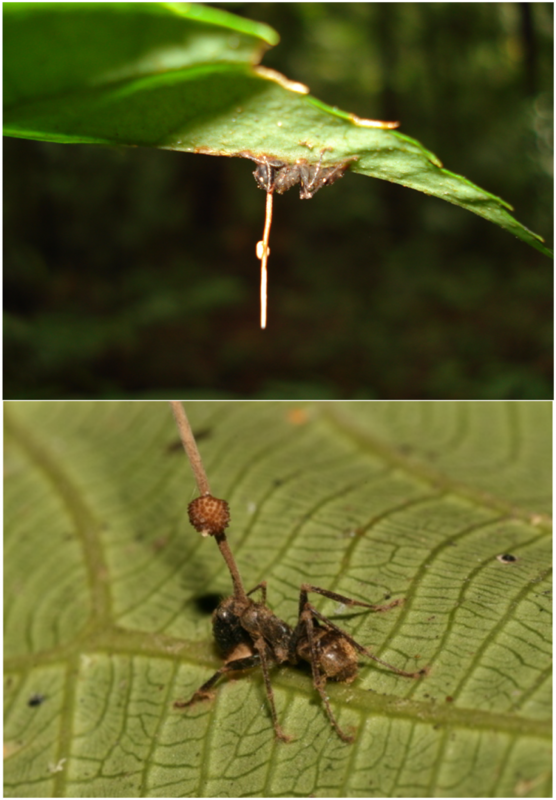 Mushrooms species Ophiocordyceps, living in tropical forests, lodge in the carpenter ants brain. Thai Ophiocordyceps Unilateralis makes the ant to make chaotic movements, which is why the insect falls from the foliage to the ground. After that mushroom commands ant to climb the tree trunk to a height of a little less than a meter, which creates ideal temperature and humidity conditions for the growth of the fungus. Usually ants chew the leaves of the tree, but insects-zombies begin to chew it.